It’s been a year to celebrate! March 2018… TEAM YOMG brought the burgers back to where it all began on Main Street, Mordialloc. 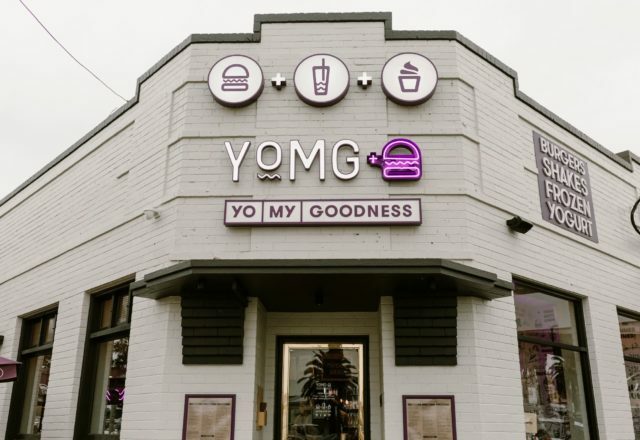 Bringing the same bursting passion for all things goodness, YOMG Mordi + has thrived in the heart of Main Street, giving the locals what they love… our famous burgers, shakes and froyo. A short year ago, our grand ol’ doors at YOMG Mordi + opened for the first time, and our GRAND OPENING was a day to remember, bursting with good vibes, cool tunes and flippin’ good burgs, only a stones’ throw from Mordialloc beach. Any true YOMGers know that we love a good time, and this Sunday will be no different. We are treating those who have supported us since day one with FREE YO MY WITH CHEESE AND BERGERK BURGERS, Sunday 31st March from 11am – 12pm. Mordi locals… Sunday is set to be a big one. Door prizes, some YOMG merch up for grabs and the best burgers with the best crew. Clear your calendars and make Sunday FACEBOOK official. Tokens will be handed out to all in line before 12pm.